If your business is not located within the LDDA boundary, STOP. DO not proceed with this registration. Go back to the First Friday Sign up. If you are not sure, please see the LDDA boundary map HERE. First Friday is funded through the shared events costs (otherwise thought of as exhibitor subscriptions) paid by the businesses who set up in the streets–the First Friday exhibitors and sponsors. The event’s annual cost is upwards of $60,000 per year. Because of the high cost of the event, we do not offer “free” space to any business or non-profit. The goal is for the event to be financially self sufficient. If your business is physically located within the footprint of the LDDA (See map. ), then you are eligible for a discounted rate to participate in the First Friday event. Your Business Tax Receipt will determine eligibility. Bricks and mortar ground floor businesses whose business entrance opens to the sidewalk in the footprint of the event (see map of street closures) can request that a space in front of their business be unoccupied by an exhibitor thus leaving their storefront visible from the street IF and only IF they are consistently open to the public during the hours of the First Friday event. If that storefront wishes to occupy that space versus it being vacant, then that business would pay the applicable discounted rate below depending on which block your business is located. 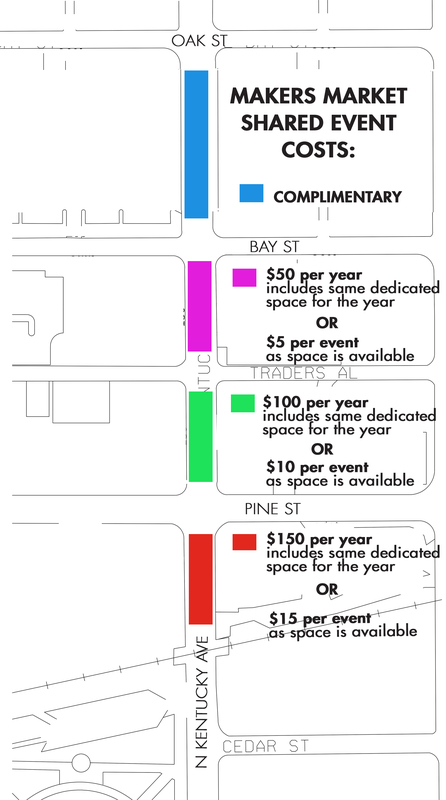 Please Note: Special rates for Downtown businesses apply to use of the space for promotional purposes by that Downtown business only–not by special guests, non-profit affiliations, other business owned, or affiliated businesses. • South Kentucky (sections SK1 & SK3) – Exhibitor space south of preservation alley to Lemon Street – $300 per year or $25 per First Friday invoiced in advance. 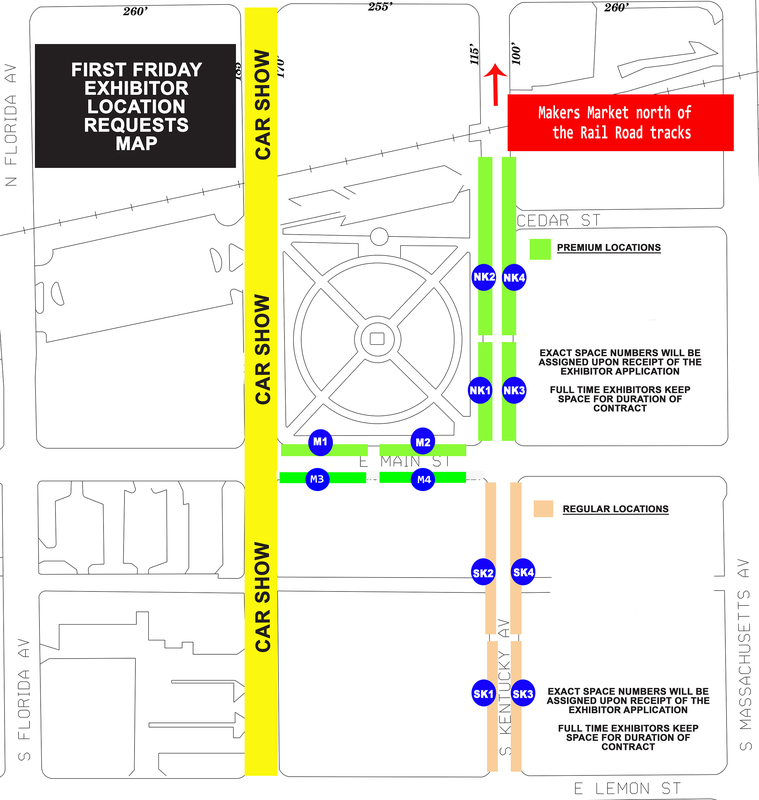 • Main Street (sections M1 & M3) – $300 per year or $25 per First Friday invoiced in advance.